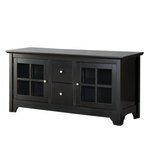 Tons Of New In Box Furniture!!! All furniture is not assembled. This furniture is all boxed nothing has been taken out and looked at it is the buyers duty to come preview items to find out condition, size, color of item. All items are sold where is as is with no warranty. HAS SHIPPING DAMAGE-- REFER TO PHOTOS. 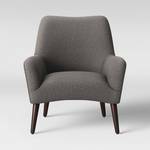 Description: Freshen up your living room with this classic transitional accent chair. 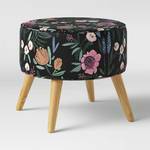 Description: Maximize your storage space with this contemporary coffee table storage ottoman from Simpli Home, featuring one side that lifts up for use as a handy desktop for your laptop or tablet. Interior storage Modern tufted design Versatile style 16.5H x 36"W x 36"D Weight: 56 lbs"
Description: We worked with moms to design the DaVinci Piper Recliner so that it has exactly the features you need. The 360 swivel motion, forward and backward gliding function and plush popup leg rest provide comfort for feeding and putting baby to rest. 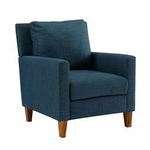 Streamlined design, soft and durable heathered polyester and DaVinci quality make the Piper Recliner a piece that can be useful well beyond the nursery years. Color: Gray. Gender: Unisex. Pattern: Variation Parent. 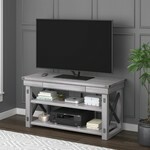 Description: Ameriwood Home Wildwood Wood Veneer TV Stand for TVs up to 50, Rustic White"
Description: Take the party on the road with this collapsible banquet table that folds down to carrying size, complete with sturdy handle. 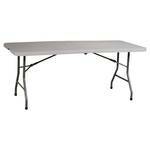 Perfectly sized for a buffet, or use it for extra seating and/or beverages. Easy to pop open and closed. 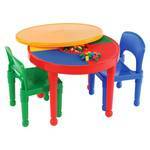 Top is blow-molded resin; base is sturdy metal. Imported. 29.25Hx72Wx29.5D. 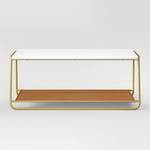 Description: Simple yet charming design and practical function come together to create the Natural Coffee Table from Made By Design. 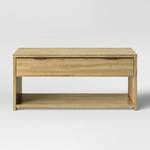 Complete with fully wrapped edges, the sturdy wood construction will help ensure you get lasting use out of this coffee table, while the natural wood-grain finish gives it a warm and inviting look. 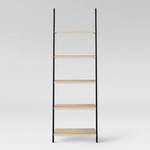 Use the lower shelf to display your favorite items.. 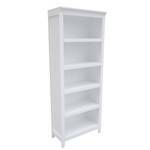 Description: Add some modern design style to your space with the Carson Leaning Bookcase from Threshold. 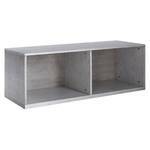 The narrow design lets you add this piece to a variety of spaces, from next to your desk in the home office to in your entryway to store your everyday essentials, so you can easily grab everything you need as you dash out the door. 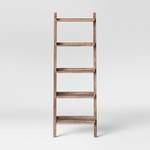 Store books, show off your milestone photos or let your plants grow on these shelves. 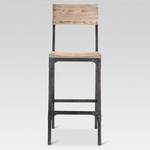 Color: Rustic. Pattern: Solid. 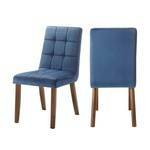 Description: Give a touch of elegance to your dining room with the Project 62 Copley Upholstered Dining Chair! 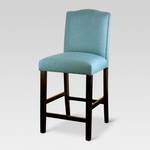 Description: Elevate your decor with this Linon Allure bar stool. Foot rest provides comfort. 30''H x 18.75''W x 13''D 30-in. 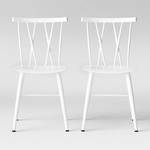 seat height Weight capacity: 200 lbs. 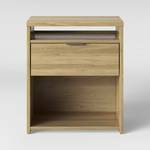 Wood Wipe clean Assembly required Manufacturer's 6 month limited warrantyFor warranty information please click here Model no. 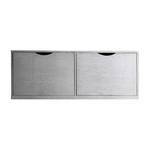 55814KESP01 Size: One Size. Color: Brown. Gender: Unisex. Age Group: Adult. 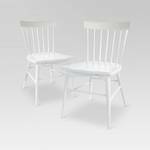 Description: The Picket House Furnishings Rosie Tufted Modern Dining Chairs are ideal for any modern dining room! This set features a bold color and all over tufted cushions. 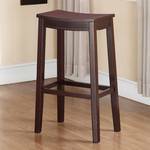 Tapered legs, in a walnut finish complete the look. 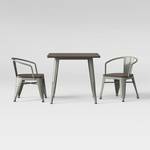 Style this group with the Rosie Modern Dining Table for the perfect curated look. Color: Navy Blue. Gender: Unisex. Age Group: Adult. 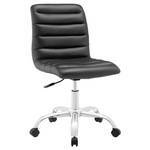 Description: Great for conference rooms and workstations, the Ripple Armless Mid-Back Office Chair from Modway Furniture has a simple, modern design that stands out. 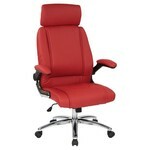 Featuring quality materials, this well-made computer chair keeps you comfy, too. Color: Midnight Black. Description: Maximize your living space with the Glenmont Storage Ottoman from Threshold. Contemporary yet functional, this rectangular storage ottoman is crafted from solid wood and comes wrapped in stylish upholstery with subtle piped edging details that add a dash of stylish texture while giving you the perfect solution for your storage needs. 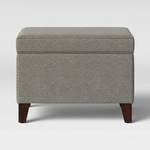 Perfect for supporting your feet after long day, this upholstered storage ottoman adds a functional yet stylish accent to any room's decor. Color: Brown. Gender: Unisex. 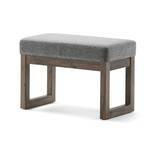 Description: Update your living space with the Milltown Ottoman Bench. 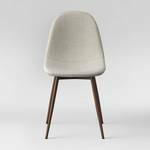 Its clean modern style will add a fresh look to your space. 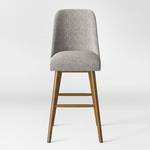 Made with durable, high quality linen look fabric for a luxurious feel. 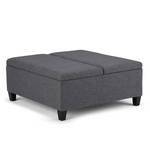 This sleek ottoman features a narrow profile which is ideal for an entryway or at the end of a bed and is available in two sizes, making it suitable for just about any room in your home. Color: Grey. 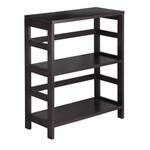 Description: The Carson 5-Shelf Bookcase from Threshold is the perfect size and fit for any room in the home. 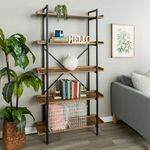 Made from durable wood, this bookshelf features five spacious shelves for displaying your favorite books, art and collectibles. 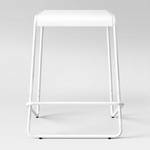 Clean, modern lines make this piece easy to mix in with any style of decor, whether in your bedroom, living room or home office. 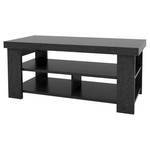 Depth at top of frame: 13.6 Overall width: 30.6 Overall height: 72" Overall depth (at floor): 12.2" Distance between shelves: 11.2" Distance between side fr..."
Description: Function meets fashion with this wood media console. 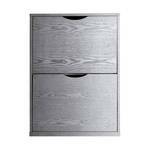 Features two multi-functional storage drawers and two side cabinets with adjustable shelving behind tempered safety glass. 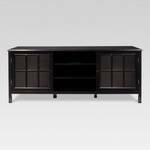 Built from high-grade MDF to accommodate TVs up to 55 inches and includes a built in cable management system. 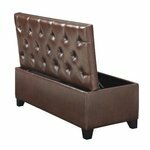 Description: Stylish and functional wall-hugger hinged bench storage ottoman.Covered in a luxurious brown renu leather.Available to use as additional seating and hinged ottoman has plenty of storage space.Solid hardwood frame and tapered wooden legs.Easy assembly and ships in one (1) box. 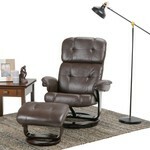 Description: There's no better way to enjoy a movie, a book or just some down time than in a recliner. 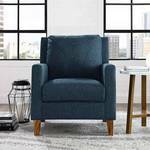 The Merrin Euro Recliner and Ottoman set features thickly padded arms, back and seat. 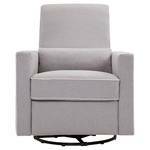 This swiveling recliner chair and ottoman each feature a sturdy, wood base. 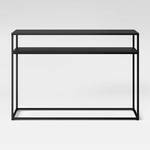 This set is not only perfect for the home, but makes for a great addition in the office. Color: Brown. 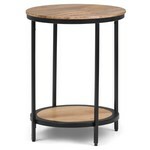 Description: Combine form and function with this Jenna Round Side Table. The natural wood finished round top offers plenty of space while the bottom shelf allows you to store small objects, books, and magazines. 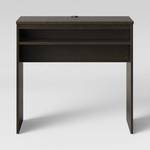 Featuring black metal frame and legs, this side table is designed to be the perfect addition to any seating area or bedroom in your home.